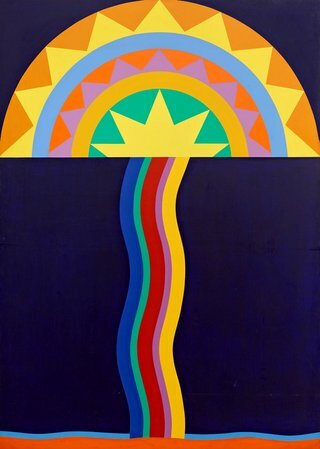 Bringing together some of the brightest works from the Art Gallery of NSW’s Australian and international collections, Colourwheel celebrates the playful and dynamic ways in which modern artists have used colour. Click on an image for more information and to view the work in the Gallery collection. Get looking and make, draw and create. Our children’s trails are available online or as free printed booklets at the Gallery. They are designed to engage young children aged 6-12 with selected objects and images in the Gallery and our exhibitions. They present looking and interpreting, drawing and writing activities for children to do in front of the art with extension ideas for activities away from the Gallery. Many of these suggestions can be adapted for use at home or in the classroom, even if you can't visit or the particular artworks are not on display. 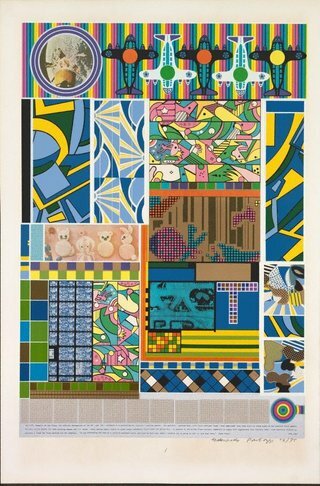 Scottish artist Eduardo Paolozzi was inspired by comic books and magazine advertisements. He often cut them up and collaged them together to make designs for new artworks. Count how many sections you can see. Which parts could be from advertisements? Spot the animal shapes. How many other things do you recognise? 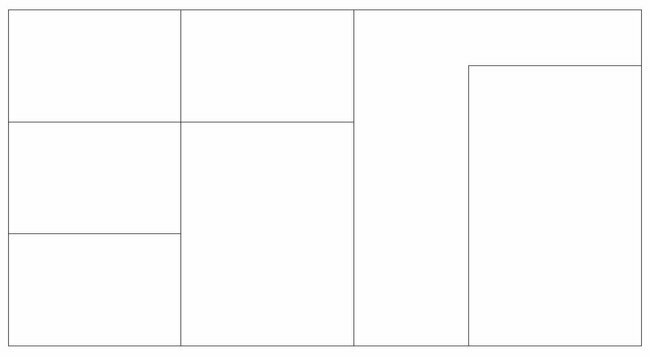 Design your own patterned artwork using this grid and include some of your favourite things. At home make a collage out of pictures, patterns and advertisements from magazines. Will you make your collage neat and ordered or messy and overlapping? 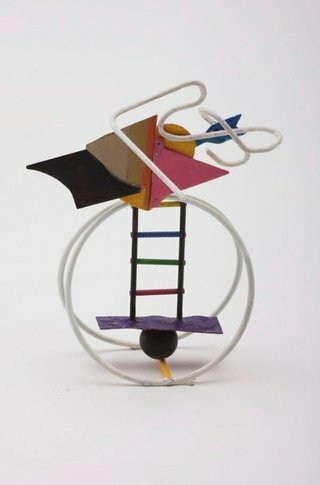 Australian artist Robert Klippel made these little sculptures from pieces of tin and wire, bending and shaping them, then painting them with bright colours. Would they look so playful if they weren’t so colourful? Notice how the artist has placed the parts very carefully so they balance. Imagine they suddenly started moving. Which ones might swing or turn? Would some stay still? At home use colourful pipe cleaners, wire, cardboard and other small bits and pieces to make your own collection of little sculptures. Spanish artist Antoni Miralda created this colourful bread in Sydney in the 1970s with a local bakery. It has survived and is as colourful now as when it was baked. 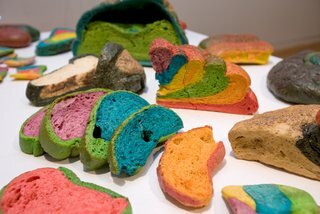 Would you like to eat such colourful bread? Describe what flavour each colour might be. What colours would taste sweet? Miralda is known for his edible art and uses unusual colours to transform everyday foods into fantasy meals. Imagine a meal of colourful food made from unusual ingredients. Write down the menu of your feast and describe the tastes. At home ask an adult to help you do some baking and experiment with food colouring to transform the look of your food. Australian artist Sydney Ball was inspired by ancient patterns and architecture. He named this artwork after an ancient part of Asia known as Transoxiana. Look at how the colours stand out against the dark blue background. Notice how complementary colours, such as blue and orange, are placed together adding to the dramatic effect. List the shapes you can see. Does the overall pattern remind you of anything? Create a pattern using simple geometric shapes to represent a place or feature of the landscape. At home experiment with cut-out shapes of contrasting colours to create a pattern. What colour combinations look the most effective? 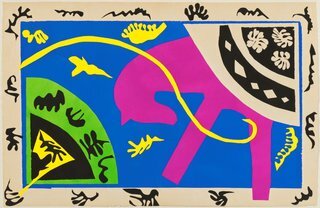 When French artist Henri Matisse was too sick to be able to paint or sculpt, he began cutting coloured paper with scissors into shapes that he pasted and collaged together. Imagine Matisse cutting the shapes. Role-play the action of his hands. Matisse’s ‘cut-outs’ were printed to create a book called Jazz. Find this print of a circus horse. Which colour stands out the most? Look at all of the stencil prints. Which one do you like the best? Draw your favourite one. At home use scissors to cut coloured paper into shapes and collage them together to make your own colourful images. 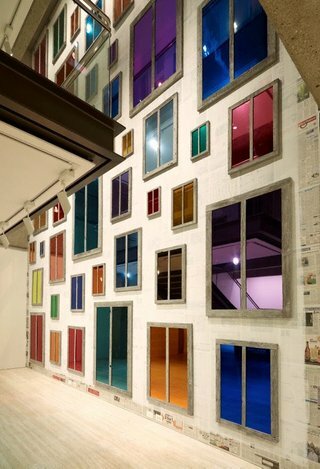 Swiss artist Ugo Rondinone has filled this wall with 52 coloured mirror-windows that represent the 52 weeks in a year, or the passing of time. Notice how you become part of the artwork and how your appearance changes in each window. Do the colours change your mood? Spot the sheets of newspaper behind the windows. Can you recognise anyone? Watch how the windows change as people are reflected in them. 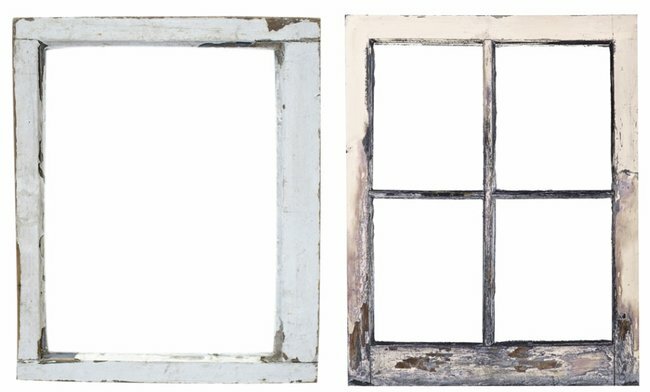 Sketch your family in these empty window frames. At home draw a series of self-portraits in differently shaped rectangles and cover them with coloured cellophane to transform how they look. 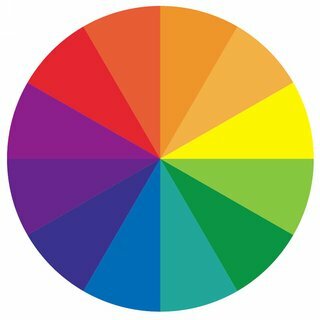 Artists often use a colour wheel like this one to help them choose colours for their artworks. 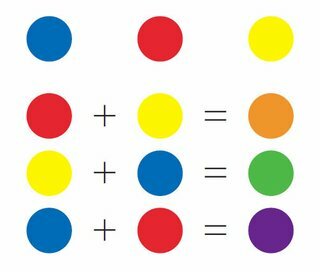 Primary colours are blue, red and yellow. Secondary colours are orange, green and purple which come from mixing primary colours. Complementary colours, such as purple and yellow, are opposite each other on the colour wheel. They create striking effects when placed together. Look at the artworks in the exhibition and see if you can spot some primary, secondary and complementary colours. At home Mix red, blue and yellow paint to make new colours. How many can you make? connection between music and colour. Can you see how he has matched musical notes with colours? Describe which colours you think are the high notes. 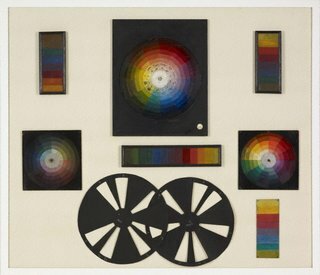 To choose colours for his paintings, de Maistre placed the black discs over his colour wheels and turned them around to reveal related colours. Choose colours to go with your favourite song. Write the names of your colours in the spaces on this disc. 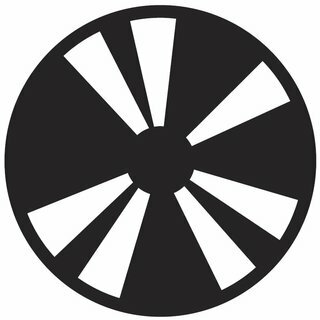 At home make your own colour wheel and black disc. Listen to different types of music and choose colour combinations to suit the tune. 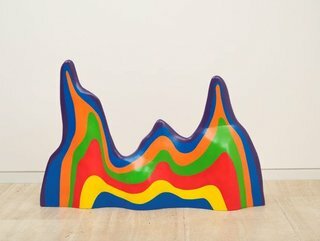 American artist Sol LeWitt made these artworks when he was 71 years old. He called them ‘splotches’. Do you think that is a good name for them? What other names can you think of for the sculptures? Notice how smooth and neat each strip of colour is due to the many layers of paint and varnish. LeWitt made drawings from a bird’s-eye view. Using a computer, he developed the drawings into a three-dimensional form. Create your own bird’s-eye-view drawing to design a new splotch to add to this group. At home experiment with dough or modelling clay in different colours to create your own splotch-like sculptures. 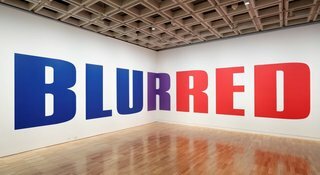 American artist Kay Rosen’s artwork cleverly combines colours and letters to show what happens when you mix the primary colours red and blue. Notice the purple ‘R’ – where the red and blue have ‘blurred’ together in the corner. Rosen enjoys making art that uses letters or words to reveal hidden messages or that express language in a visual way. Think of some descriptive or action words such as ‘spikey’, ‘wobbly’, ‘climb’ or ‘jump’. Draw more words like this one, that look like what the words mean. At home experiment with hand-drawn or stencilled letters to make your own artworks that use words and add colours to enhance different parts.